The Māori King movement came into existence in the late 1850s as an attempt to unite the tribes, prevent land sales and make laws for Māori. The elderly Pōtatau Te Wherowhero of Waikato was one of a number of chiefs who possessed the mana necessary for this role. Appointed as the first Māori King in 1858, he died two years later. Te Wherowhero’s early adult life was dominated by war. 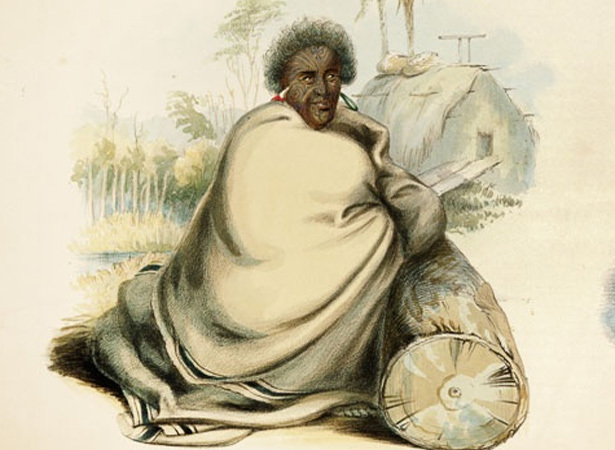 His Waikato tribe drove Te Rauparaha’s Ngāti Toa from its Kāwhia homeland and in turn had to defend its own territory against Northland’s Ngāpuhi. Waikato also made repeated attacks on the Taranaki tribes. Te Wherowhero refused to sign the Treaty of Waitangi but did deal with the colonial government. He sold land to the Crown and, in 1849, signed an agreement to provide military protection for Auckland. He advised Governors George Grey and Thomas Gore Browne, but protested strongly against a British Colonial Office plan to put all uncultivated land into Crown ownership. While Te Wherowhero did not see his appointment as King as a direct challenge to the authority of Queen Victoria, it was seen that way both by the colonial authorities and by some of his supporters. When he died after just two years as King he was succeeded by his son, who became known as Tāwhiao. We have 40 biographies, 4 articles, related to Death of the first Māori King.